John Alan are delighted to act as sole agents in the sale of this ever popular 1930's three bedroomed semi-detached house situated in a quiet residential road convenient for all amenities. Among the many benefits to note: vacant possession, gas fired central heating, attached garage to side (room to extend, subject to planning permission), superb 90'0 south facing rear garden, off street parking to the front. It is with great pleasure that John Alan have been appointed the sole agents in the sale of this lovely three bedroomed semi-detached house situated in a quiet tree lined residential road yet within striking distance of all amenities. The property is offered with immediate vacant possession. Open Day: Saturday 27th April between 10.00-12.00pm. John Alan are delighted to offer this 1930's 3/4 bedroomed extended semi-detached home to the market. The property is situated in a quiet cul-de-sac close to Miller's Pond. This traditional chalet style semi incorporates a superb fitted kitchen/diner and the added benefit of a ground floor bedroom/study which is the fourth bedroom. There is a brick built dormer extension to the first floor providing three double bedrooms, with en-suite to the master and additional large family bathroom. Added to this, there is a superb secluded 95'0 garden which is ideal for a growing family. A detached garage and ample off street parking are additional benefits. Internal viewing is very much recommended to fully appreciate. 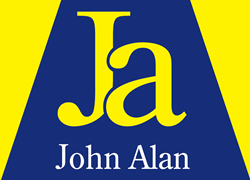 It is with great pleasure that John Alan have been appointed the sole agents in the sale of this ever popular 1930's four bedroomed extended terraced house offered with immediate vacant possession. Among the many benefits to mention are gas fired central heating, quality double glazing, loft conversion (4th bedroom), popular quiet road near amenities, ideal family home. John Alan are delighted to act as selling agents in the sale of this four bedroomed 1930's terraced house situated in a popular residential road close to Forster Memorial Park. Benefits include gas fired central heating, double glazing throughout, kitchen with fitted units, detached garage to rear, off street parking to the front. John Alan are delighted to act as sole agents in the sale of this ever popular brick fronted three bedroomed Victorian house situated in a quiet residential road within the Corbett Estate. Some updating is required hence the price. Internal viewing recommended. Open Day: Saturday 23rd February between 1.00-3.00pm. John Alan are delighted to act as sole agents in the sale of this ever popular 1930's three bedroomed semi-detached house situated in a popular residential location close to all amenities. Although requiring some modernisation, this family home is presented in a very appealing way that any prospective purchaser could move in and carry out modernisation in their own time. It is being offered with immediate vacant possession. Open Day: Saturday 4th May 2019 between 10.00-12.00pm. It is with great pleasure that John Alan have been appointed the sole agents in the sale of this attractive and well maintained 1930's three bedroomed end of terraced house. Situated in a tree lined residential road close to Forster Park. Among the many benefits to note are a 90'0 sunny aspect rear garden, detached garage plus off street parking to the front, double glazing and central heating. Internal viewing recommended.